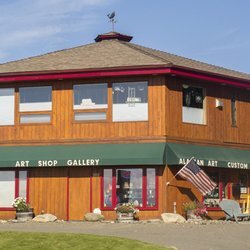 Art Shop Gallery located at 202 West Pioneer now carries my cards, along with other work from artists around the state. Looking for the perfect gift? This is a good place to start! Center for Alaskan Coastal Studies has a great selection of STL's Photo Greeting Cards. 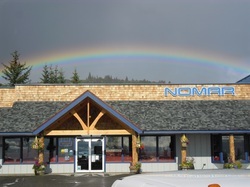 Every purchase made at this non-profit organization helps them send kids to camp or other outings. 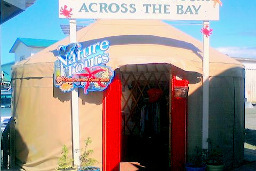 Look for the opening of their second location - the Yurt on the Spit at the end of May! My cards with a nautical theme will be available for purchase at the Yurt. A large selection of cards are located at Ulmer's Drug and Hardware located at 3585 Lake Street in Homer. Cindy, Greeting Card Specialist at Ulmer's. Me on the right. 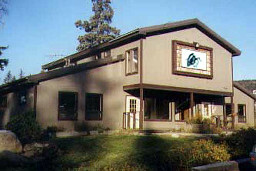 The Pratt Museum Gift Shop located at 3779 Bartlett Street in Homer. Colleen, Pratt Museum Gift Store Manager. Me on the left.